Simplify and secure your online gambling experience with mobile phone casino deposit options for Canadians. Prior to the internet, the world was a much smaller place. We traveled to casinos to gamble, paid bills with cash or check, and used pay phones to communicate on the go. No one knew what the weather was like in Brazil or Australia. We didn’t have random friends from Europe, or buy goods directly from China. Boy, have times changed! 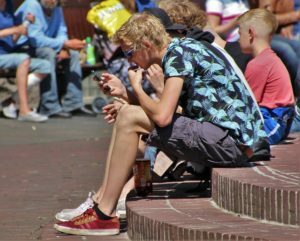 Now days, the majority of our activities take place over the internet. We call, text or snap-chat people over WiFi or a 4G cellular network. We pay bills through online banking services. Thousands of online casinos are floating through cyberspace, fulfilling our entertainment needs with ultimate convenience. Gambling via desktop or mobile device is great, but it’s not just the way we access the games that’s so favorable. There are nearly as many ways to pay for it as there are types of games to wager on. If you’re familiar with the industry, you know that the most popular ways to fund and online casino account are credit cards, debit cards, eChecks, bank transfers and eWallets. But there’s one thing all of these services have in common. You must share your credit/debit card or banking details over the web; either with the online casino operator, or the eWallet service that facilitates the payments. On the surface, these payments are very secure. Each party uses state of the art technologies to encrypt data transfers and protect their users’ information. But as we all know by now, fraud and theft is rampant these days. So for those of you who require the most secure ways to deposit at online casinos – without divulging any personal or financial details whatsoever – I recommend pay by mobile phone casinos. Mobile phone casinos allow players to make deposits directly through their smartphone. The payments are tacked onto their mobile phone bill. It’s that simple. The only information a player shares with the casino operator during deposit is their mobile phone number. Your mobile carrier service will take it from there. You’ll receive an SMS text message with the details of the payment, with instructions to confirm or deny the purchase. This typically involves replying ‘Y’ for yes or ‘N’ for no, or with a specific numeric code to confirm or deny. The entire process can take about 30 seconds to complete. Once confirmed, the amount of the deposit is immediately reflected in your casino account balance. No information shared; no risk taken. Just a fast, simple and ultimately secure way to deposit. There is currently only one mobile phone payment system that caters to the Canadian online gambling community. It’s called Boku, and it’s been around for a lot more years than you might think. The company was founded in the UK in 2003 as Vidicom Ltd. They spent the first few years seeking funding for a revolutionary service it called MobillCash. It didn’t take off until 2009, when investors from the Silicon Valley took interest. The company moved to San Francisco, California, rebranded to Boku, and has been growing in popularity ever since. 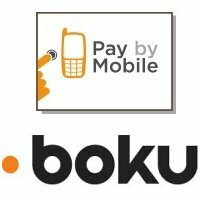 Boku is the largest and most widely available mobile phone bill payment option, especially popular among online gaming communities. More importantly, it’s the only one that caters to Canadians, and requires no input of personal or financial (card or bank) details. Boku was originally available to European customers for about 5 years before entering the Canadian market in 2014 as a ‘direct carrier billing‘ service for PS4 gamers. It’s now available for players of all major video gaming consoles, and is promoted by 150+ global online gambling websites; about 60 of which accept Canadian players and deposits. Unlike traditional payment methods, you won’t need to register an account with Boku to use its direct carrier billing service. It’s also 100% free. There’s no direct or monthly fee to use the service. The amount you deposit is the amount you pay, period. To make a mobile phone bill payment with Boku, log into an online casino that accepts this method. Navigate to the Banking > Deposit section and press on the ‘Pay By Mobile‘ logo. Enter the amount you want to deposit and your mobile phone number. You’ll receive an SMS text message with the details of the payment. Reply ‘Y‘ (for yes) to that message and the payment is complete. Unfortunately, withdrawals are not an option via mobile phone casinos. While casino deposits can appear on your mobile phone bill, payments cannot credit back to it. In order to facilitate a withdrawal that is equally secure, you’ll need to request a paper cheque by mail. All other methods require divulging personal and financial information. Mobile phone casino deposit options can be used with any cellular plan. Whether you have a regularly scheduled monthly payment, or utilize a pay-as-you-go service, it still works. For monthly payment plans, the deposit shows up on your next monthly bill. For pay as you go plans, the deposit will withdrawal instantly from your available credit balance.